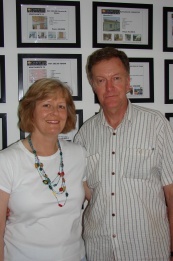 Before we moved to Portugal from Somerset in July 2009 we had already researched a large amount of agents on the internet and quickly found that Chavetejo’s website was user friendly, full of information and extensive. We felt confident that as a registered INCI member Chavetejo was the one to use. Our decision to contact Chavetejo and view some properties was a positive move. We found all the staff friendly and helpful, and their professionalism made our foray into this unknown world less daunting, no doubt due to the fact that the core team is both Portuguese and British. We already had a list of properties we wanted to see, and as well as these we were also shown similar dwellings in our price range. At no time did we feel pressured into making a decision – instead we were allowed to take our time and reach our own conclusions. Chavetejo took us through all of the procedures and paperwork, from opening a bank account, obtaining a fiscal number and providing a list of Portuguese lawyers, some of whom spoke English. 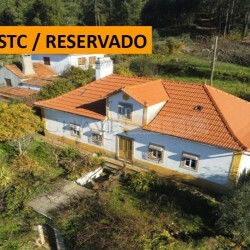 We would like to thank all the team at Chavetejo for their assistance throughout and would certainly recommend them if you are thinking of purchasing a property in Central Portugal.